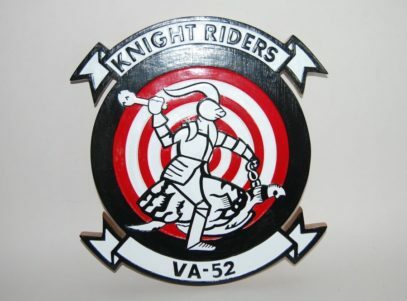 A hand crafted VA-52 Knight Rider 14 inch plaque that has been carefully painted to provide a great piece to display. 20 July 1950: VF-884 called to active duty as a result of the Korean War. 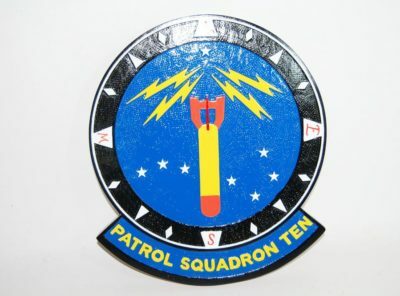 28 July 1950: Squadron reported for active duty at NAS San Diego. March 1951: In the later part of March, VF-884 aircraft conducted their first combat operations, flying close air support missions along Korea’s eastern coast from USS Boxer. 24 May 1951: VF-884’s first Commanding Officer, Lieutenant Commander G. F. Carmichael died after parachuting from his F4U which had been hit by enemy ground fire. 4 October 1952: Lieutenant E. F. Johnson was attacked and shot down by enemy MiG-15 aircraft. This was the first VF-884 and CVG-101 aircraft shot down by enemy aircraft. 8 November 1952: Lieutenant Commander Bowen, VF-884’s third Commanding Officer, was listed as missing in action when his aircraft crashed near Pyongyang, North Korea. 4 February 1953: VF-884 was redesignated VF-144 during its second combat tour in Korea aboard USS Kearsarge. In this change, the reserve squadron number was replaced by an active squadron number. 21 February 1953: VF-144 completed the last line period of its second combat tour in Korea. 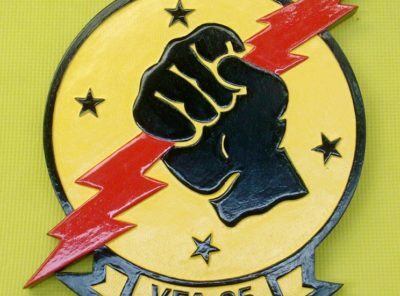 Its primary missions had been close air support of ground troops, interdiction of enemy main supply routes, and the destruction of military supplies, vehicles and troops. 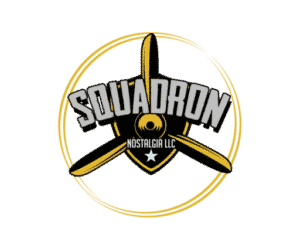 18 August 1958: The squadron returned to NAS Miramar following USS Ranger’s first major deployment. The cruise took the squadron from Virginia to California, via Cape Horn, transferring Ranger from the Atlantic Fleet to the Pacific Fleet. 23 February 1959: The squadron’s mission was changed to attack and it was redesignated VA-52. 13 July–1 August 1964: VA-52 aircraft participated in Yankee Team operations in South Vietnam and Laos, involving aerial reconnaissance to detect Communist military presence and operations. Other missions included weather reconnaissance and Search and Rescue. 2–4 August 1964: During a Desoto Patrol mission (intelligence collection missions begun in 1962), USS Maddox was attacked by three motor torpedo boats on 2 August off the coast of North Vietnam. Following this incident the squadron flew 44 sorties in support of the destroyers on the Desoto Patrol. 4 August 1964: During the night, two destroyers on Desoto Patrol, USS Turner Joy and USS Maddox, believing themselves under attack by North Vietnamese motor torpedo boats, called for air support. Several A-1H Skyraiders from the squadron, along with several F-8 Crusaders, were launched from USS Ticonderoga. Commander George H. Edmondson and Lieutenant Jere A. Barton reported gun flashes and bursts of light at their altitude which they felt came from enemy antiaircraft fire. 5 August 1964: Four VA-52 A-1s, piloted by Commander L. T. McAdams, Lieutenant Commander L. E. Brumbach and Lieutenant (jg)s R. E. Moore and P. A. Carter, participated in Operation Pierce Arrow, retaliatory strikes against North Vietnam. 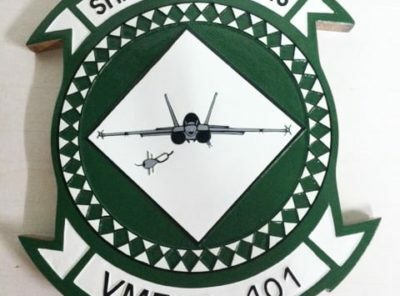 Along with other aircraft from CVG-5, they struck the Vinh oil storage facilities and destroyed about ninety percent of the complex. The four aircraft returned with no battle damage. 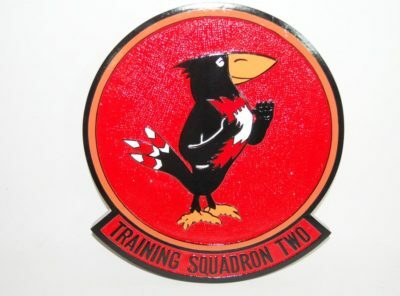 6–29 October 1964: The squadron conducted rescue combat air patrol missions in support of “Yankee Team” operations. 7 February 1966: Lieutenant (jg) Harvey M. Browne was awarded the Silver Star for conspicuous gallantry and intrepidity during rescue missions in the Republic of Vietnam. 13 April 1966: Commander John C. Mape was killed in action, becoming the third VA-52 commanding officer to be lost in combat action. 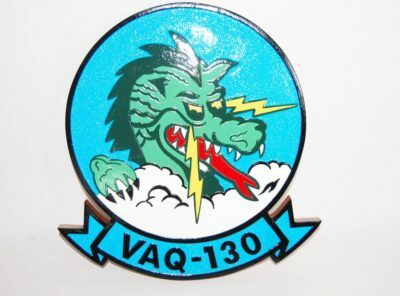 21 April 1966: The squadron completed its second combat tour of duty in Vietnam, having participated in Operation Rolling Thunder, designed to interdict the enemy’s lines of communication into Laos and South Vietnam. 9 March 1967: Commander John F. Wanamaker received the Silver Star for conspicuous gallantry and intrepidity during operations against North Vietnam. 27 April 1967: This was the last day of line operations for VA-52 and the completion of her third combat tour to Vietnam. 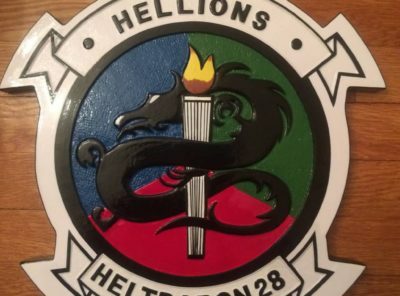 During this deployment, squadron operations included rescue combat air patrol missions, coastal reconnaissance, Operation Steel Tiger missions and Operation Sea Dragon operations. Steel Tiger involved concentrated strikes in southern Laos. Sea Dragon involved spotting for naval gunfire support against waterborne cargo and coastal radar and gun battery sites. 7 September 1968: VA-52 deployed aboard USS Coral Sea. This was the first A-6 Intruder deployment aboard a Midway-class aircraft carrier. 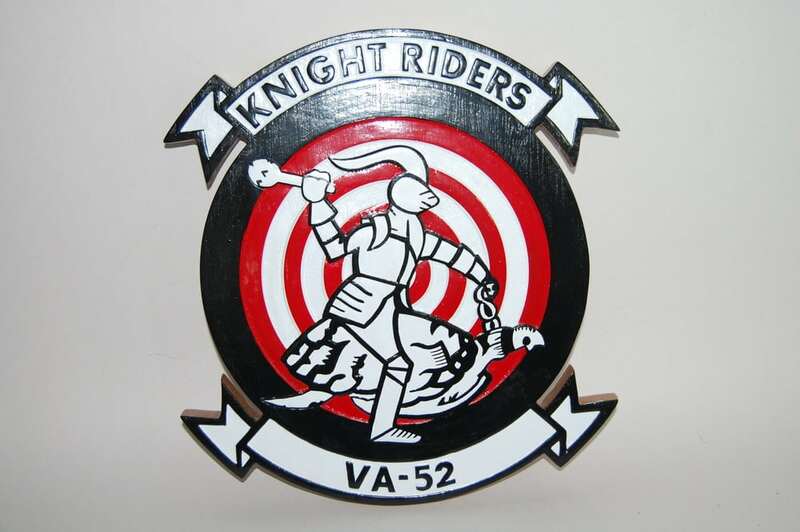 8 December 1970–23 June 1971: During this period VA-52’s main emphasis was on operations in Laos against the enemy’s lines of communication and their transportation networks. 23 November 1971: Commander Lennart R. Salo became the first Naval Flight Officer to command an A-6 Intruder squadron. 3 April 1972: VA-52 commenced line operations from Yankee Station a few days earlier than scheduled as a result of the North Vietnamese invasion on 30 March. During this line period heavy air raids were conducted against North Vietnam. These were the first major heavy air raids into North Vietnam since October 1968 and became known as Operation Freedom Train. 16 April 1972: VA-52 conducted strikes in the Haiphong, Vinh, and Thanh Hoa as part of Operation Freedom Porch. 9 May 1972: Operation Pocket Money, the mining of Haiphong harbor, was launched. VA-52’s Intruders took part in a diversionary attack at Phu Qui railroad yard while aircraft from Coral Sea conducted the actual mining. 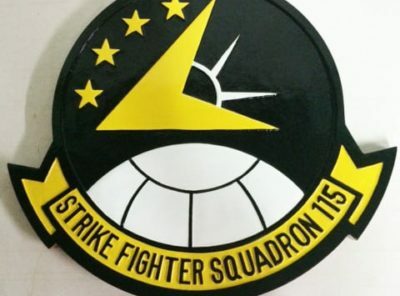 10 May 1972: Operation Linebacker operations began and involved concentrated air strikes against targets in North Vietnam above the 20th parallel north. During these operations VA-52’s aircraft flew armed reconnaissance, Alpha strikes (large coordinated attacks), mine seeding operations, tanker operations, and standard arm sorties (use of antiradiation missiles to destroy missile radar sites). 1–27 June 1972: VA-52 flew special single aircraft night missions designated Sneaky Pete as part of Operation Linebacker operations. 23 November 1973: VA-52 deployed with CVW-11 aboard USS Kitty Hawk as part of the first CV concept air wing on the West Coast. VA-52’s Intruders were equipped with new ASW electronic equipment, the Multi-Channel Jezebel Relay pods. 24–28 July 1979: VA-52 and other elements of CVW-15 participated in search and assistance operations to aid Vietnamese boat people. 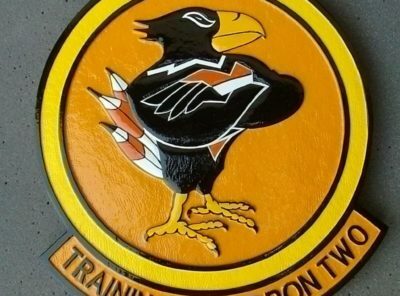 A total of 114 people were rescued through the efforts of the air wing and Kitty Hawk. These operations continued during August. 27 October 1979: South Korea’s President Park Chung Hee was assassinated and Kitty Hawk immediately departed the Philippine Sea for the southwest coast of Korea, where they remained until 4 November. 29 December 1979: During operations off Kitty Hawk, the squadron’s commanding officer, Commander Walter D. Williams, was lost at sea in a KA-6D. 3 December 1979–23 January 1980: After the assault on the American Embassy in Tehran and the Iran hostage crisis, Kitty Hawk entered the Indian Ocean and operated in the Arabian Sea throughout this period. 19 May 1981: While transiting the South China Sea VA-52 aircraft spotted a small boat with 47 Vietnamese refugees on board and reported their location for rescue operations. 10–12 October 1983: USS Carl Vinson, with CVW-15 and VA-52, were kept on station in the Sea of Japan after the attempted assassination of South Korea’s president. 14–31 August 1986: VA-52 participated in the first carrier operations in the Bering Sea since World War II. Most of the squadron’s 400 hours and 200 sorties were made under adverse weather conditions. 20–31 January 1987: VA-52 conducted its second period of operations in the Northern Pacific and Bering Sea. At one point the most effective means of clearing snow and ice from Carl Vinson’s flight deck was the jet exhaust from the squadron’s aircraft. 23 September 1987: During night operations off Carl Vinson the squadron’s Commanding Officer, Commander Lloyd D. Sledge, was lost at sea. August 1988: The squadron flew sorties in support of Operation Earnest Will, the escorting of reflagged Kuwait tankers in the Persian Gulf.